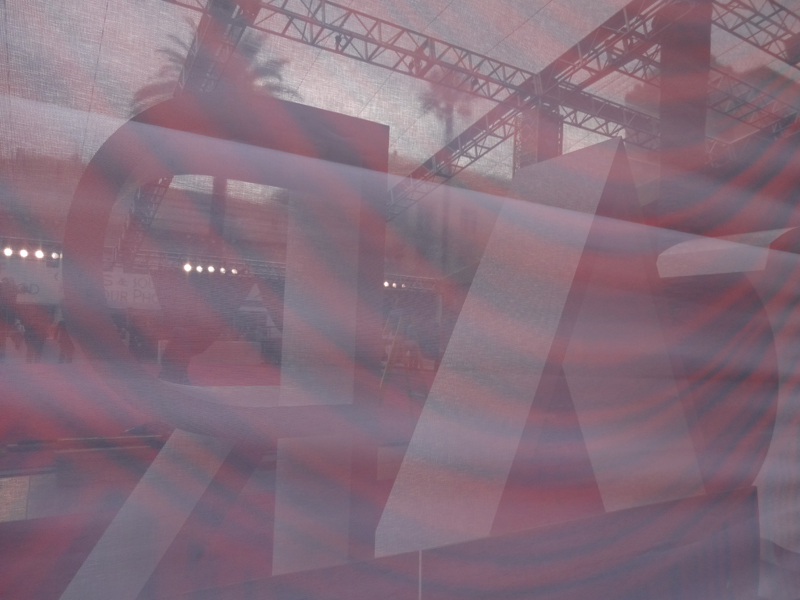 The Oscars is one of the biggest events in the world. 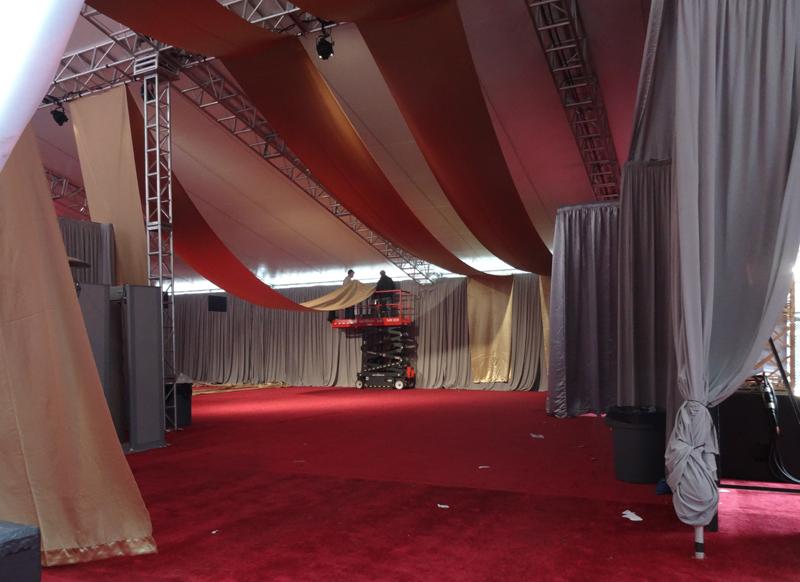 I wanted to see how Hollywood prepares, and so I took a behind-the-scenes look at the red carpet the day before the big day. The view from the corner of Hollywood Boulevard and Highland Avenue. 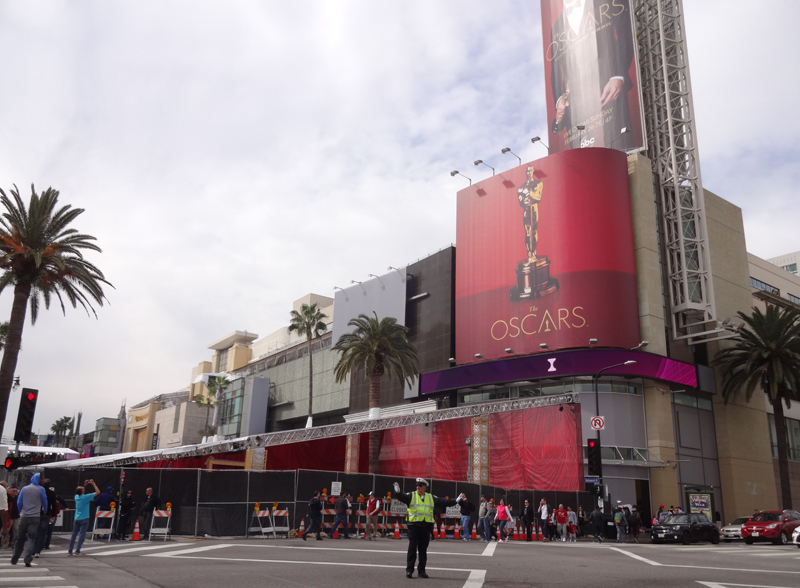 Walking along the south side of Hollywood Boulevard, I caught a glimpse of big white letters that spelled out: OSCARS. 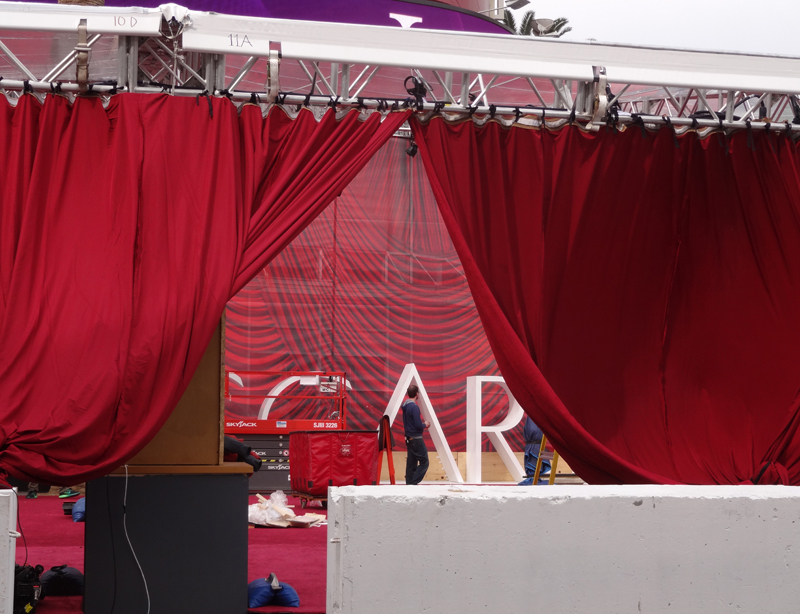 On the north side of Hollywood Boulevard, the OSCAR letters were just a few feet away, behind a sheer curtain. Next to the letters was a huge tent where workers were hanging fancy gold curtains. 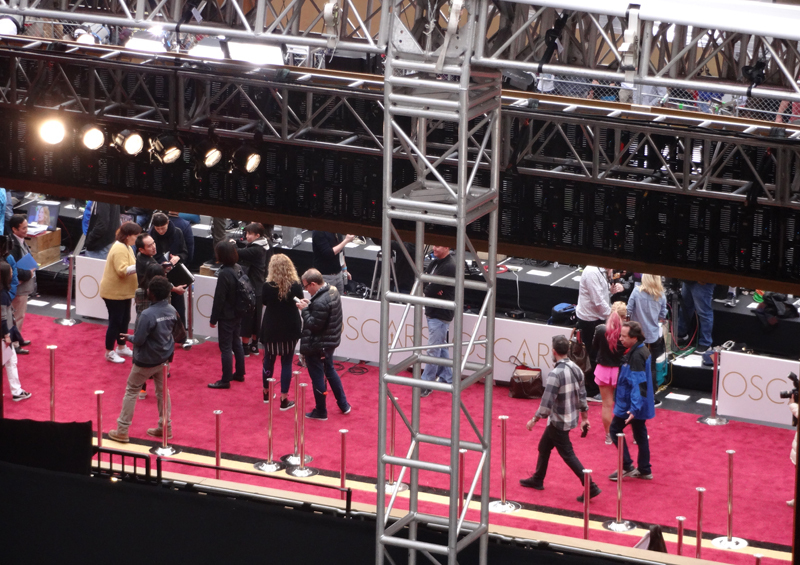 Further along the carpet, TV crews practiced their interviews for the big day. The man being "interviewed" here is actually as stand-in. The tag around his neck says "Michael Shannon," but a few minutes before I took this photo, he "was" Lin-Manuel Miranda. 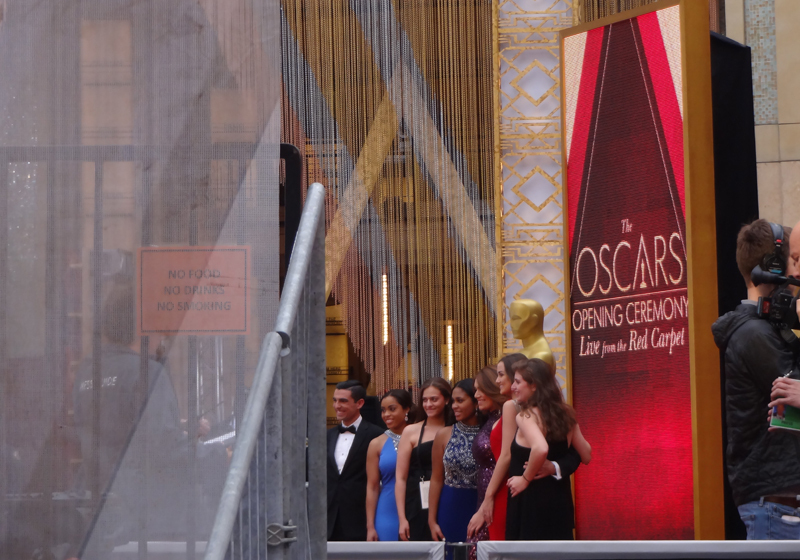 I don't know who these people on the red carpet are, but they look like they're ready for the Oscars. 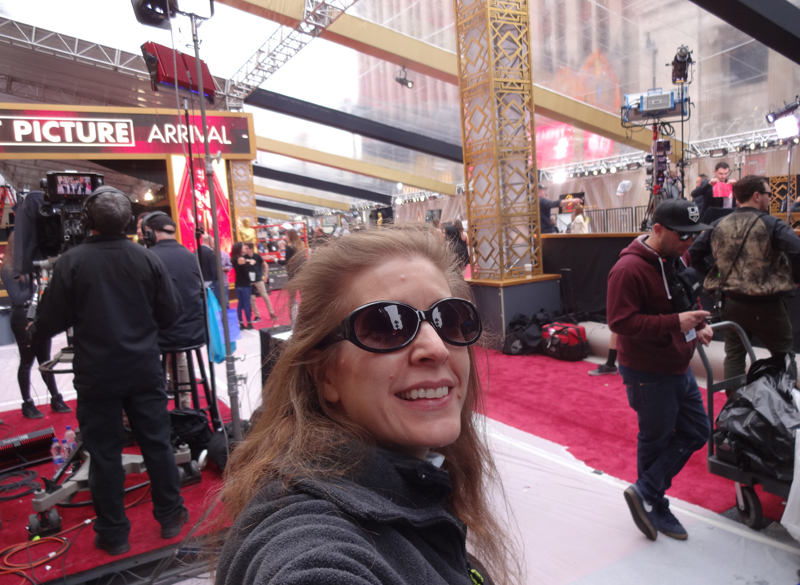 On the north side of Hollywood Boulevard, I took my own red carpet photo. Then I headed upstairs at the Hollywood and Highland mall for a final look at the carpet. This view (through the rope curtain) was my favorite! The 2017 Oscars will be held at The Dolby Theatre in Hollywood, California on February 26th, 2017. 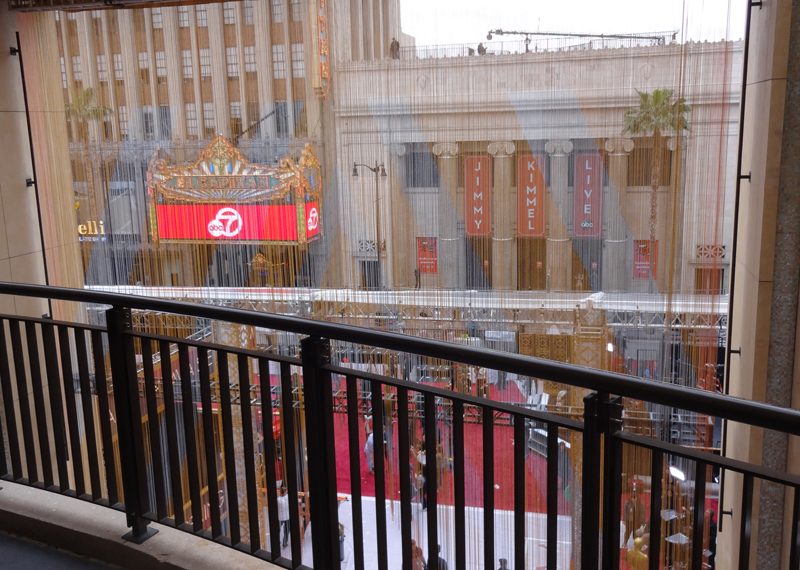 I visited the red carpet the day before.